The Fate of a Fallen Saguaro...One Year Later! 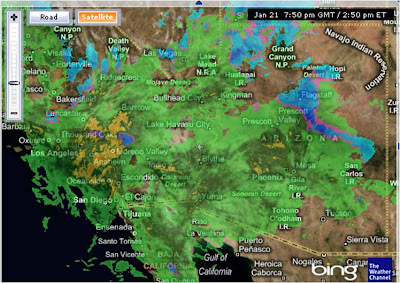 Some of you who have been following the blog for the past year may remember the major El Nino-induced winter storm that rolled through Arizona last January 2010. It dumped over 2" of rain in a few hours, caused all of Northern Arizona to shut down under several feet of snow, and even triggered tornado warnings. 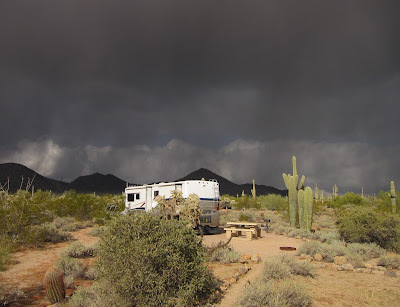 We evacuated our trailer that night for a hotel room to ride it out. 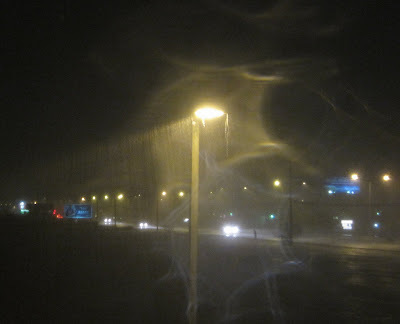 If you want to read more about that storm, I have attached the links to those posts below. Well, being back at Usery Mountain Recreation Area one year later, Hilina and I decided to trek out and see what a fallen saguaro looks like after one year on the desert floor. Below you can see some "before and after" images. 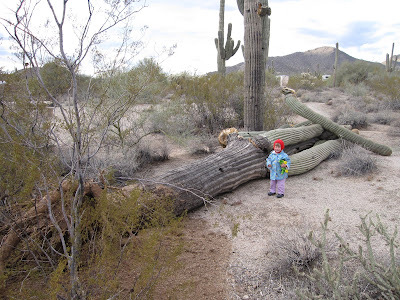 The day after the saguaro fell, notice the branch that fell on top? 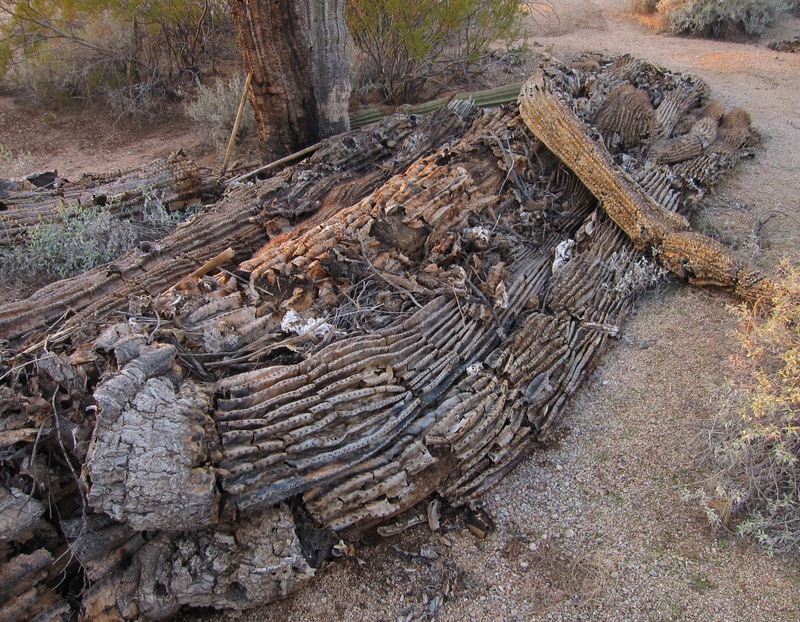 This fallen saguaro which may have been over 100 years old, provided food and moisture for numerous creatures in the year after it fell. 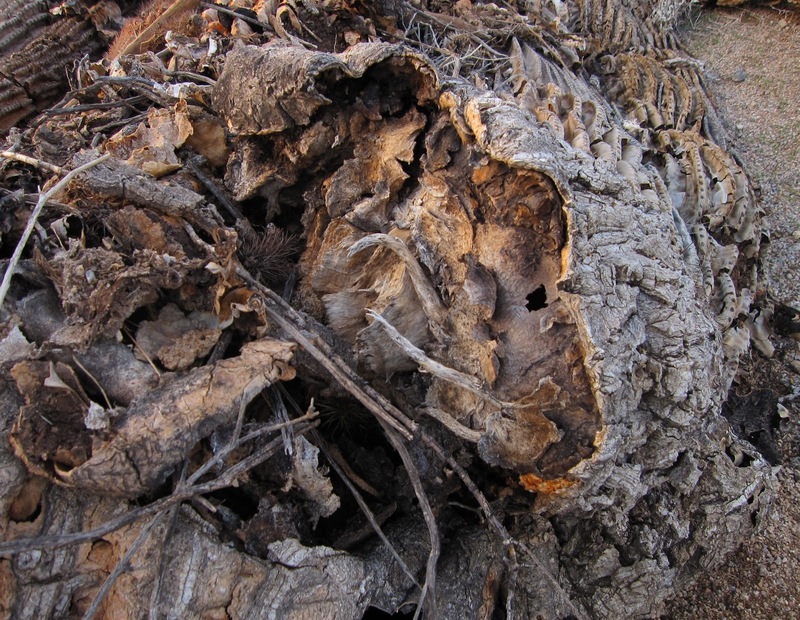 Various animals such as deer, mice, ringtails, and woodpeckers may have munched on its water-filled pith for moisture and nutrients. Even now, it remains important to the ecology of the desert, since it provides innumerable homes for creatures as diverse as scorpions, centipedes, ants, beetles, squirrels, quail, maybe even kit foxes or coyotes. 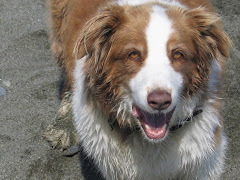 It is a convenient place to dig a den or burrow. The remains of this cactus shades the desert floor from the intense summer sun and captures water that falls as rain or condenses as dew, keeping the soil underneath moist and providing moisture for so many animals to drink. 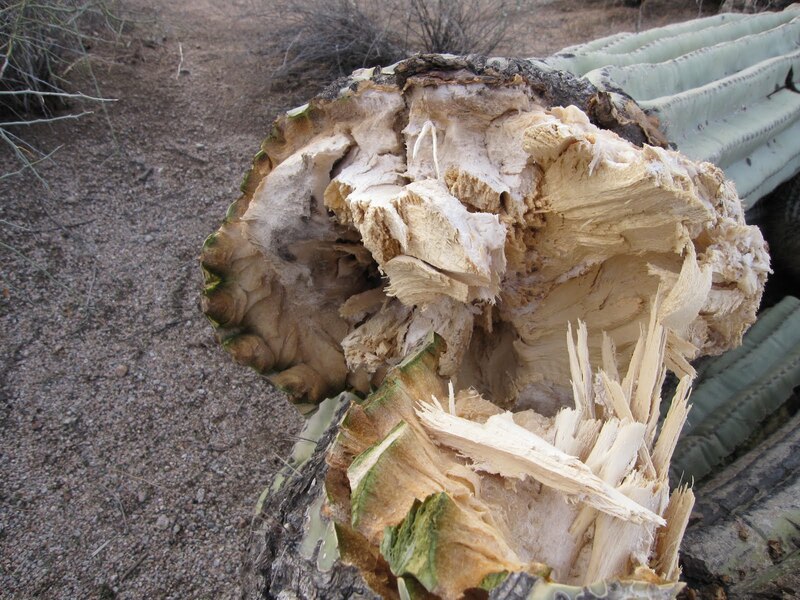 This saguaro will eventually decay into the soil, providing important nutrients for plants that later grow on this spot. 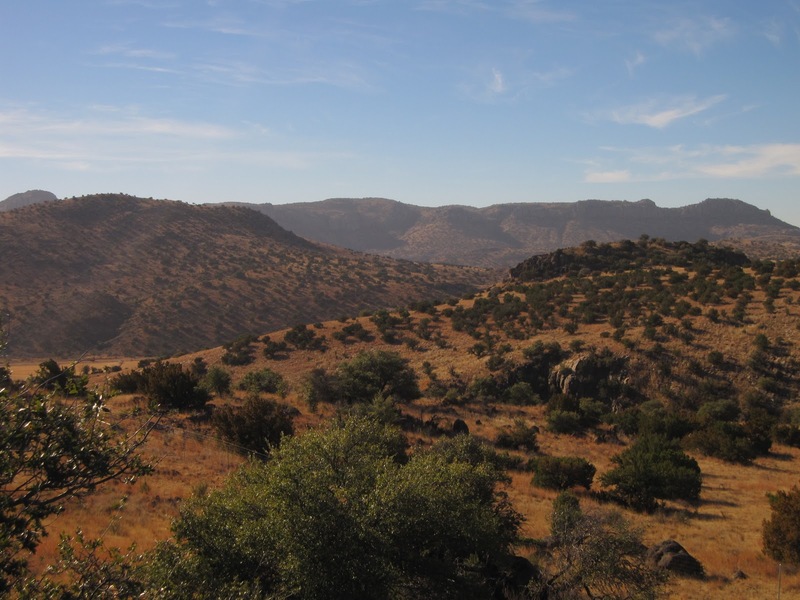 But, until then, it will continue to serve as a sanctuary for hundreds of species who need shade, moisture, cover, or food sources that sustain the ecology of this harsh land. 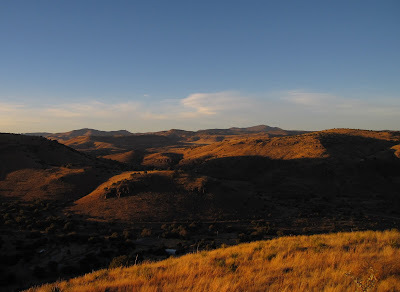 The Davis Mountain Preserve is a 32,000 acre protected area owned and managed by The Nature Conservancy. 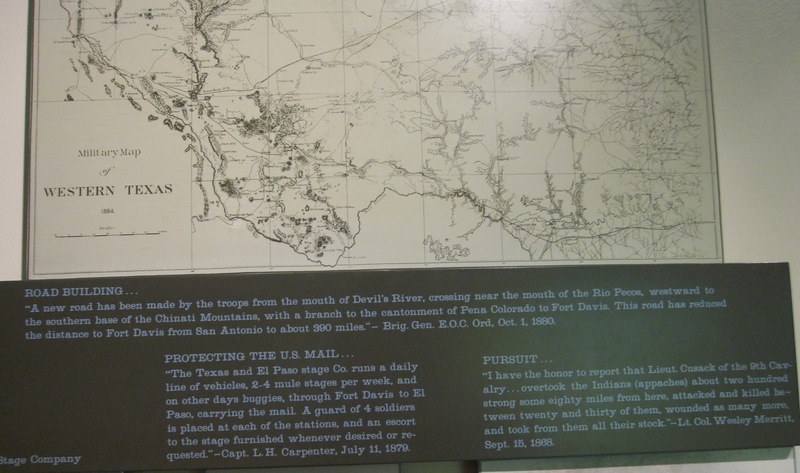 It is located 23 miles past Fort Davis on TX-17. 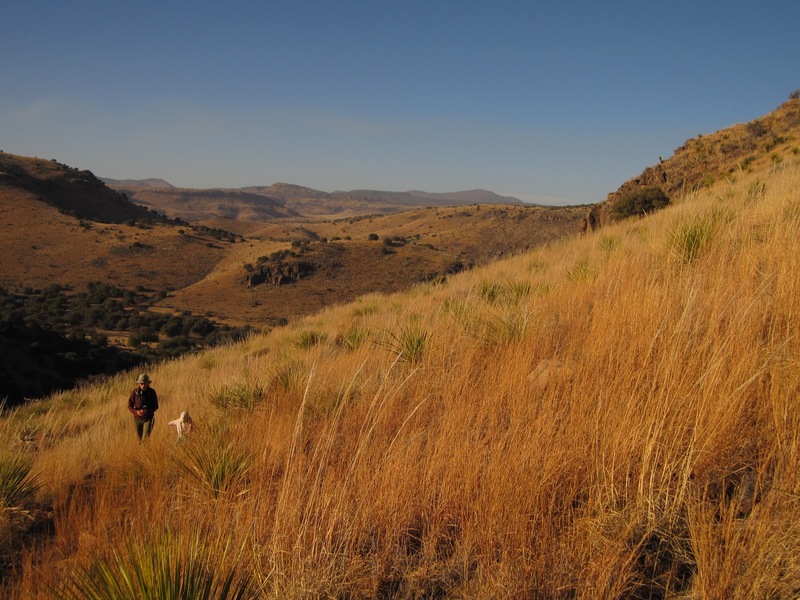 This preserve protects the highest peaks of the Davis Mountains, including the 8,300-foot Mount Livermore. 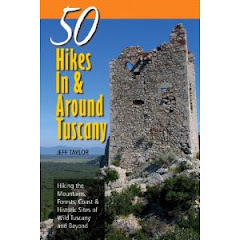 It is the 5th highest peak in Texas and the highest one outside the Guadalupe Mountains. 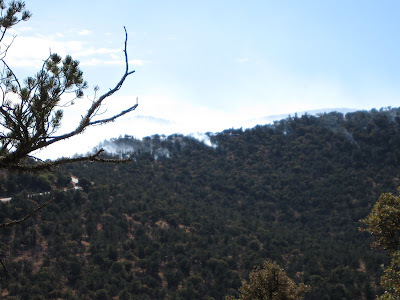 Mount Livermore and the nearby peaks are home to some rare (for Texas) high elevation coniferous forests, including ponderosa pines and the southernmost stand of aspens in North America. 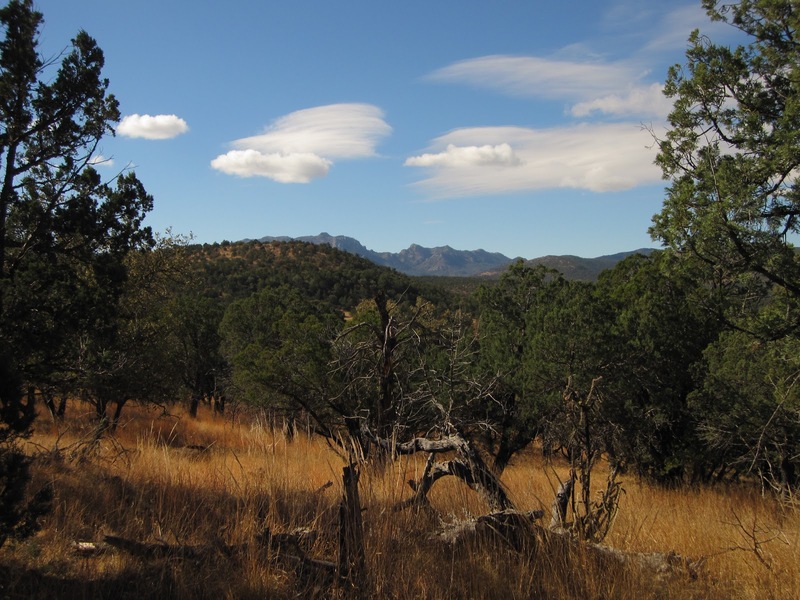 Since these sky islands are located hundreds of miles away from their nearest neighbors (Guadalupe Mountains National Park to the northwest and the Chisos Mountains of Big Bend National Park to the south), it has been deemed an important ecological unit to protect. 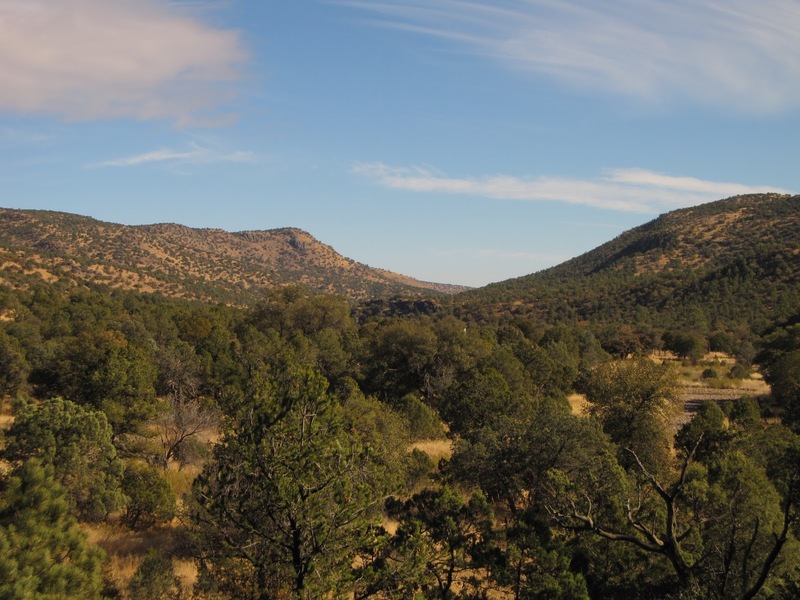 Thus, the Nature Conservancy purchased 32,000 of private ranchland to set up this preserve and arranged for another 70,000+ acres of conservation easements on adjacent property. We passed a fire burning just outside the preserve. The local fire department was seen monitoring the blaze. Since most of west Texas is private land, finding hiking trails or access to these interesting landscapes is actually quite difficult. In fact, the Nature Conservancy does not even normally provide access to the Davis Mountain Preserve outside of a couple of special access days per year. But, I was excited when I found out that the Nature Conservancy has recently opened a new public trail on their property. 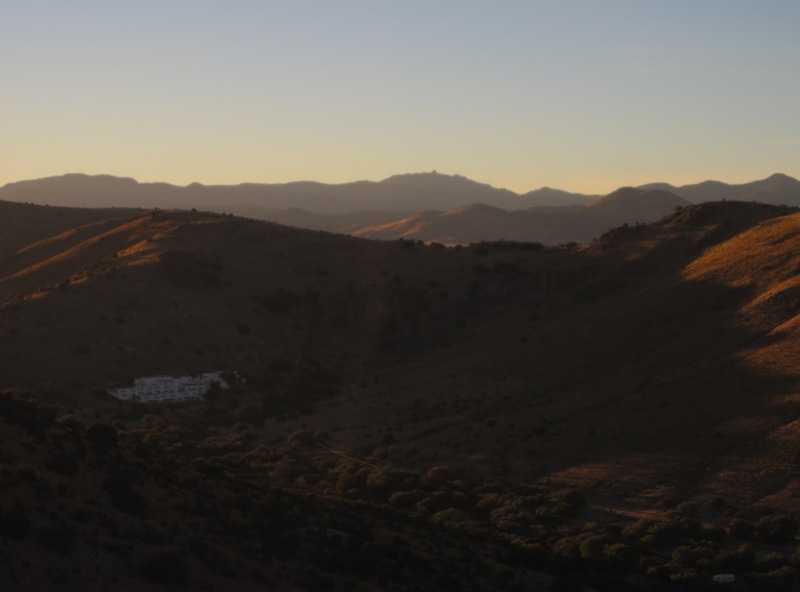 Located right on the edge of their preserve at just over 5,800 feet elevation, it is not exactly the high forests of Mount Livermore. But, it does offer some nice views as you hike through a pinyon-juniper forest reminiscent of much of the landscape of Central Arizona. 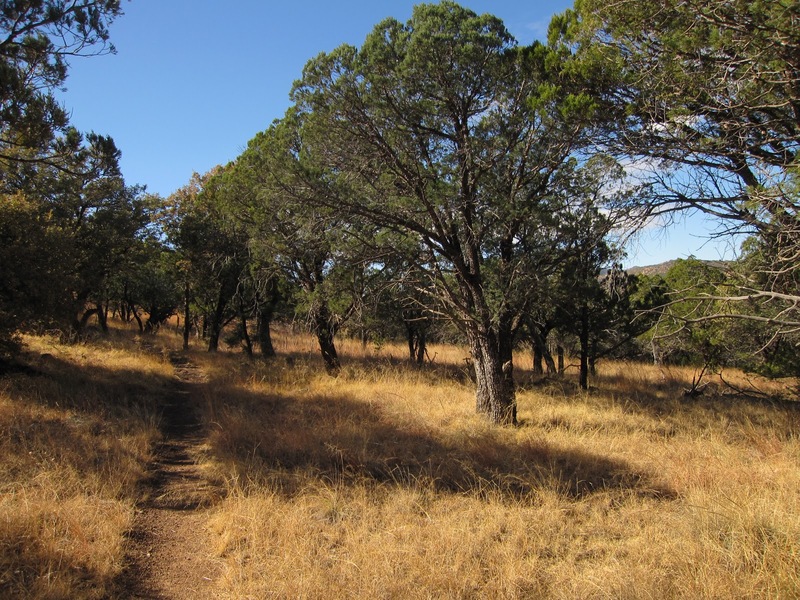 The Madera Canyon Loop is 2.5 miles around and starts at the Lawrence E. Wood Picnic Area off of TX-17. The trail starts off by crossing Madera Creek, which is a intermittent stream. The trail then climbs to the top of a mesa through the pinyon-juniper stand with a grassy understory. 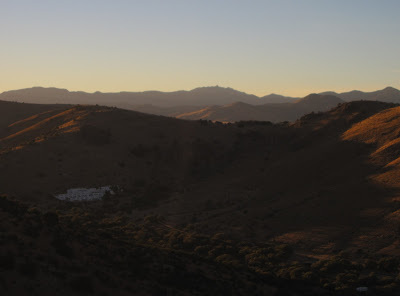 The trail essentially circles the mesa and at one point early on (if you start to the right) offering a dramatic view of the steep slopes of Mount Livermore. 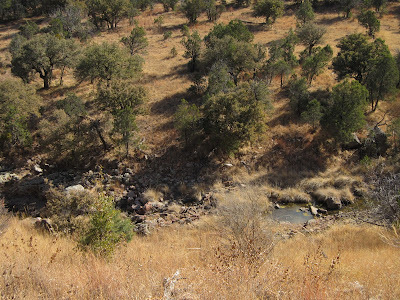 The trail loops around and then descends to an old cattle tank on Madera Creek. The signs of herds of javalina are ubiquitous in the wallows, matted-down grass, and footprints. 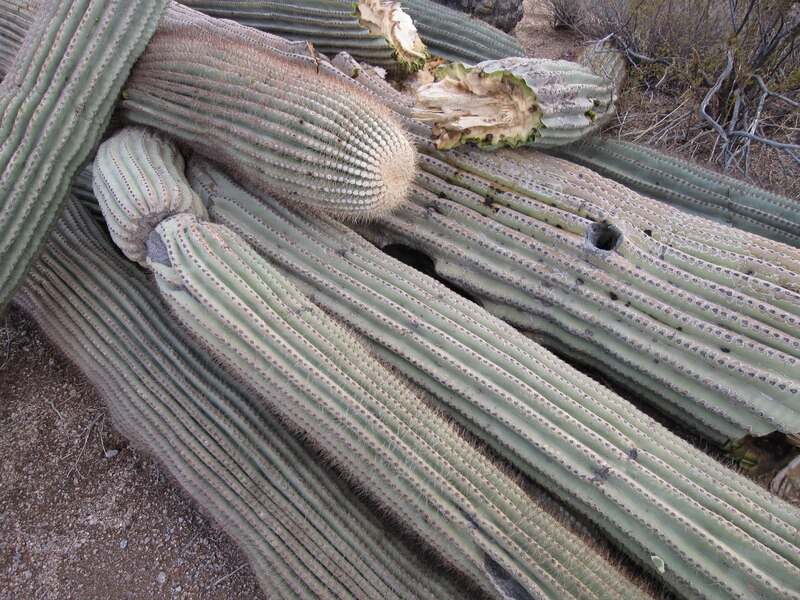 I did not see them, but a hiker I past said he just had seen 20 of them. 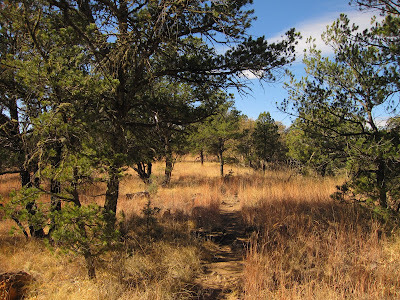 The trail then parallels the creek as it ascend up the mesa again and then you return down slope back to your car. I was disappointed that there are no current options available to go up onto the pine-covered slopes of the higher mountains. But, it is a beautiful drive up up from Fort Davis, past the McDonald Observatory, along spectacular grass-covered hills and vistas. This short hike then makes for a nice place to stretch your legs before turning around and heading back to Fort Davis. 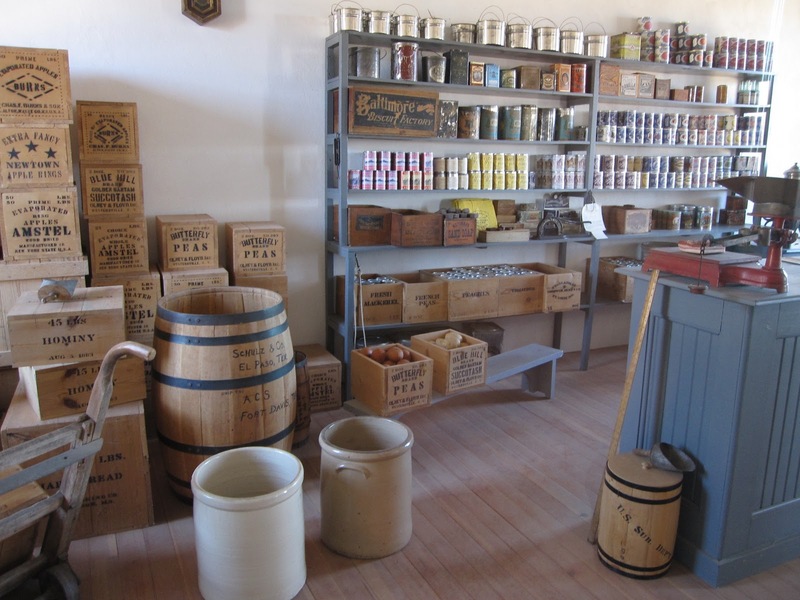 Fort Davis National Historic Site preserves an old west army fort used between 1854 and 1891 to protect supply routes, mail, and pioneers heading west to California for the gold rush and settlements. 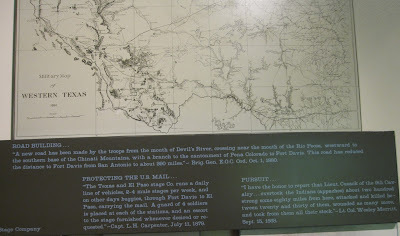 It was one of the key locations on the El Paso-San Antonio Trail, which was the primary southern route across the country. 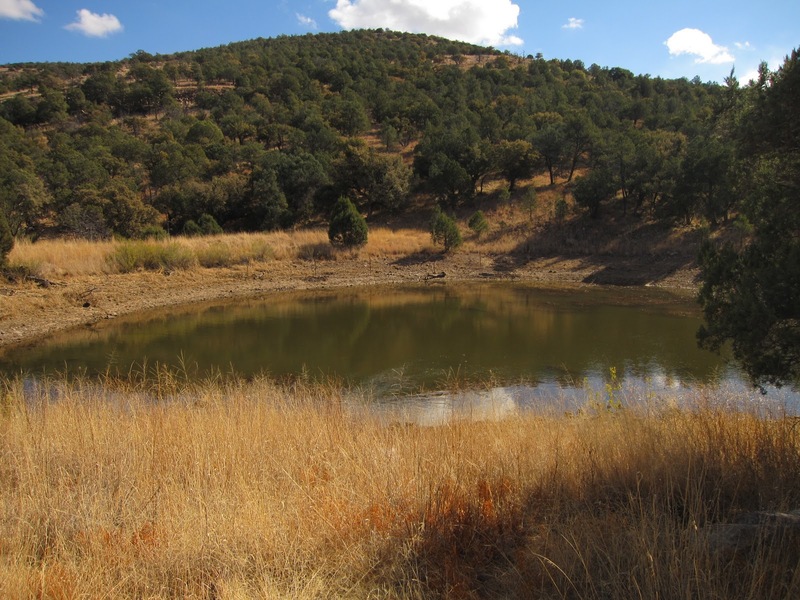 Located at 5,000 feet elevation in the Davis Mountains of West Texas, this site contained all the necessary qualities needed to run a major military fort in a landscape surrounded by low hot desert, including water from springs, timber, and grass forage for livestock/horses. 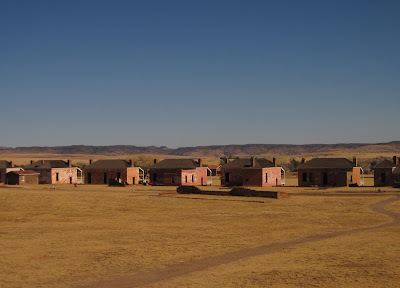 The fort was one of the major sites where the all-black Buffalo Soldiers were stationed to hold off the Apaches from raiding local ranches or attacking wagon trails using this route. The Apaches were one of the last holdouts among the Native American tribes resisting the westward expansion of the whites. But, they actually rarely attacked people directly. Often they would simply come in and take livestock for their own survival, since their traditional lands, water sources, and game had been eliminated or captured. The site was active from 1854 until the Civil War, but was then deserted when troops were needed for the war. The poorly built structures mostly collapsed and were unusable by the time the war ended. 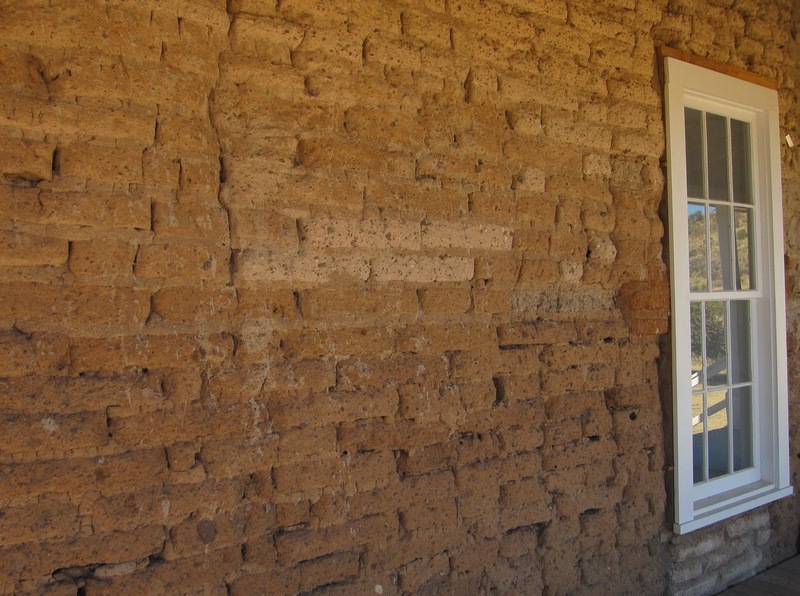 When the military reoccupied the site after the Civil War it was rebuilt with adobe bricks and improved facilities constructed including a full hospital. Since there were rarely any attacks and not much else was happening out here is remote West Texas, for the soldiers, it was a pretty boring situation. They played lots of baseball, cards, read what literature arrived in the mail or by passing wagon trains, and some snuck off base for various unapproved activities (I am sure you can think of what those were). 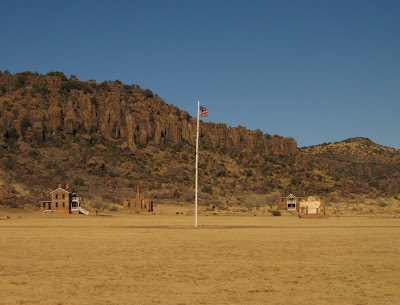 The fort was occupied by the U.S. military until 1891. But, in reality its purpose mostly ended by the late 1860's. Once the Indian Wars ended, it wasn't really needed to protect people traveling the route. Once the railroads were completed, people did not really pass by this area anymore, anyways. 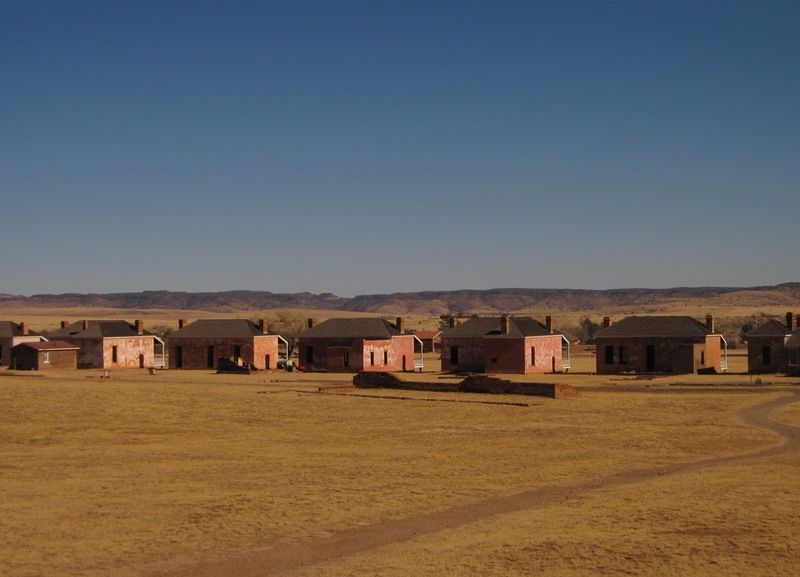 Fort Davis National Historic Site now represents the 175th National Park Unit that I have visited. That seems like an impressive number. But, given that there are currently 394 NPS units, that still only represents 44.5% of all national park sites. So, I still have a long ways to go. Since they are adding new units every few years, and they are so spread apart, it seems unlikely I will ever visit them all. Nor do I have an interest in doing so (such as the numerous national battlefields). But, it will be interesting to just keep track and see how many I do get to. Of the various types of National Park Units, the type I have been to most by percentage are the 58 National Parks of which I have been to 36 (or 62%). The next highest category by percentage are the National Seashores/Lakeshore of which I have been to 8 of 14 (or 57%). The Davis Mountains in West Texas are one of the easternmost Sky Islands of the Basin and Range Province. 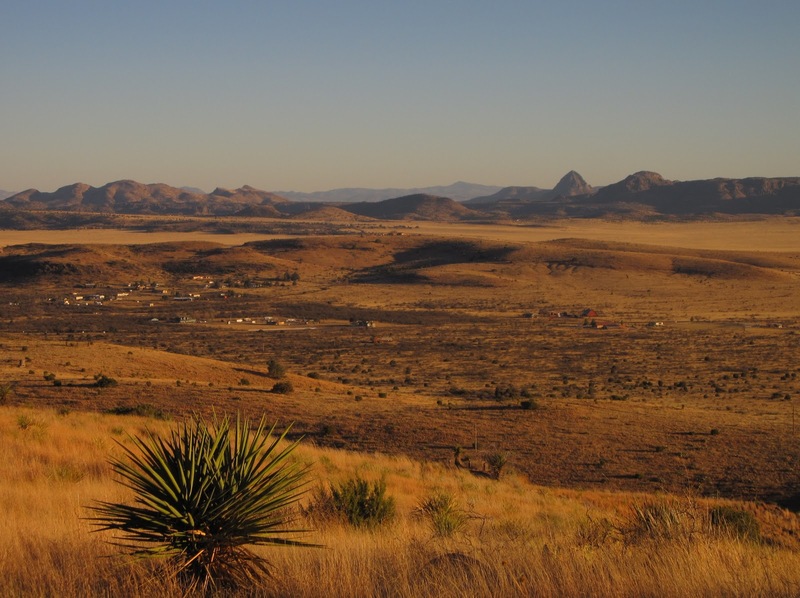 Located about halfway between the Guadalupe Mountains and Big Bend National Park, the Davis Mountains are actually the largest mountain range in Texas and contains the state's highest peak outside of the Guadalupes. When you arrive in the Davis Mountains, in many ways you are officially entering "The West" in terms of vegetation and climatic patterns. 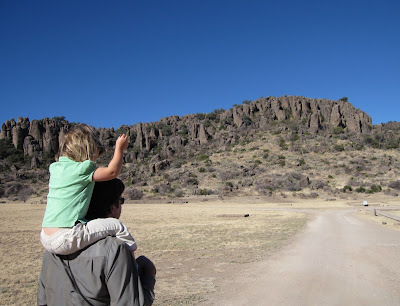 We'd been to both Guadalupe Mountains NP (2003) and Big Bend NP (2009), but never to the Davis Mountains. 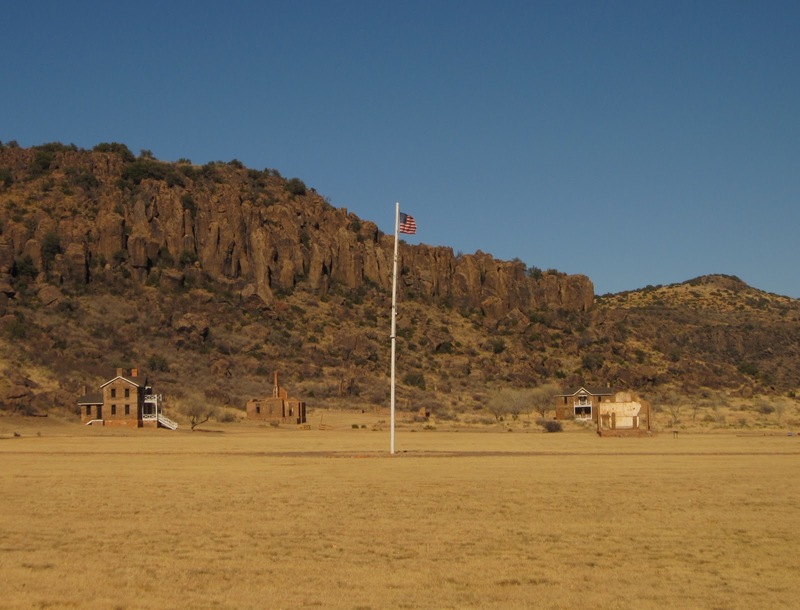 So, while we were driving that long stretch on I-10 from Austin to El Paso, we decided to swing south on a little detour to Fort Davis to check it out. 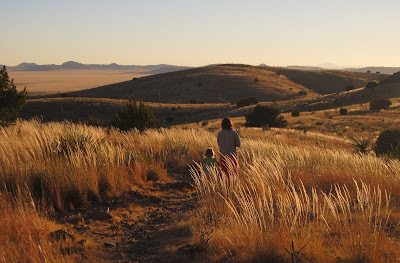 We camped at Davis Mountains State Park and had a wonderful time. Davis Mountains State Park is a 2700 acre park that contains a nice campground located in a sheltered canyon. From the campground you can hike 1.5 miles to the top of Skyline Ridge to enjoy panoramic views of the landscape all around. You can also drive up the Skyline Drive for this view. From the summit, you can see the McDonald Observatory (3rd largest complex in the U.S.) and the 8,300 foot Mount Livermore in the far distance, as well as, Fort Davis NHS and the town of Fort Davis to the south. 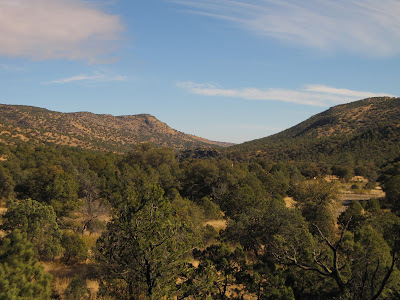 This area is part of the Chihuahuan Desert. 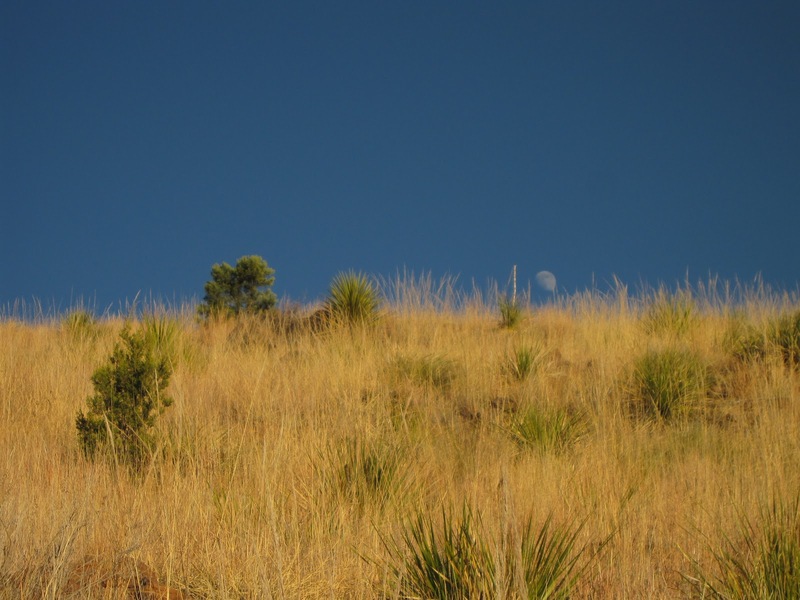 But, at 5,000 feet, the landscape is characterized by sub-montane grasslands. The area gets most of its rain in summer in the form of monsoons off the Gulf of Mexico, while the winter is very dry, since Pacific storms have a hard time getting past the Sierra Madre and other mountain ranges to the west. In sheltered north-facing slopes and canyons, live oaks and junipers can be found. 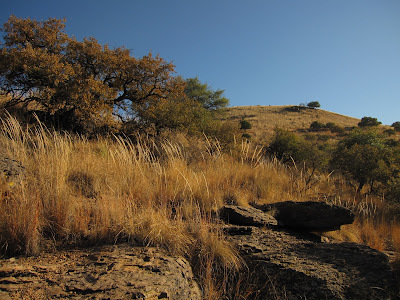 Davis Mountain State Park makes for a great homebase for exploring the area. 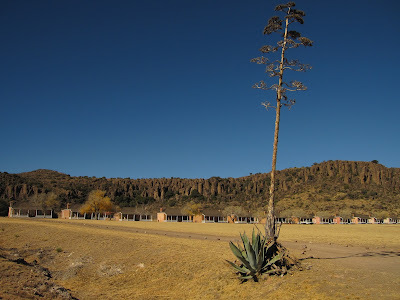 If camping is not your thing, then there is a really nice adobe style hotel in the park called Indian Lodge. It also contains the Black Bear Restaurant, which serves decent food at reasonable prices. It was in the 60's and 70's when we were there in December (30's at night). But, because of the 5,000+ foot elevation of the park, the summer temperatures are reasonable with highs in the 80's and occassional low 90's, while everywhere else in Texas is sweltering with 100's. We camped here three nights. We drove to the top of Skyline Ridge the first night and then hiked to the top the next afternoon. In addition, the park contains a number of other trail options. Since the vast majority of Texas is private land and access is an issue, this is one of the few places you can go for a hike. Wildlife is numerous, including a herd of 7 mule deer that kept wandering around our campsite by day, and the pack of javalina's that scavenged for Hilina's dropped popcorn under our trailer at night (my pictures of them didn't turn out). Using Davis Mountain State Park as a home base, you can drive 20 miles up the road to visit the Nature Conservancy's Davis Mountain Preserve. This 32,000 acre preserve protects the three highest summits of the range. These sky islands contain ponderosa pine forests and the southernmost stands of aspen in North America. I'll have a post on this TNC preserve later on. 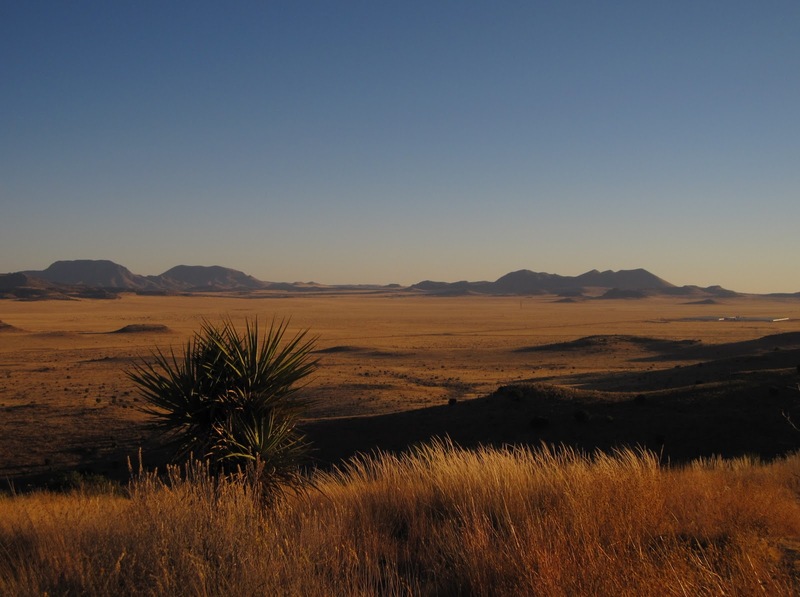 You can also head over to the Chihuahuan Desert Research Institute located a few miles south of Fort Davis on TX-17 on the way to Alpine. 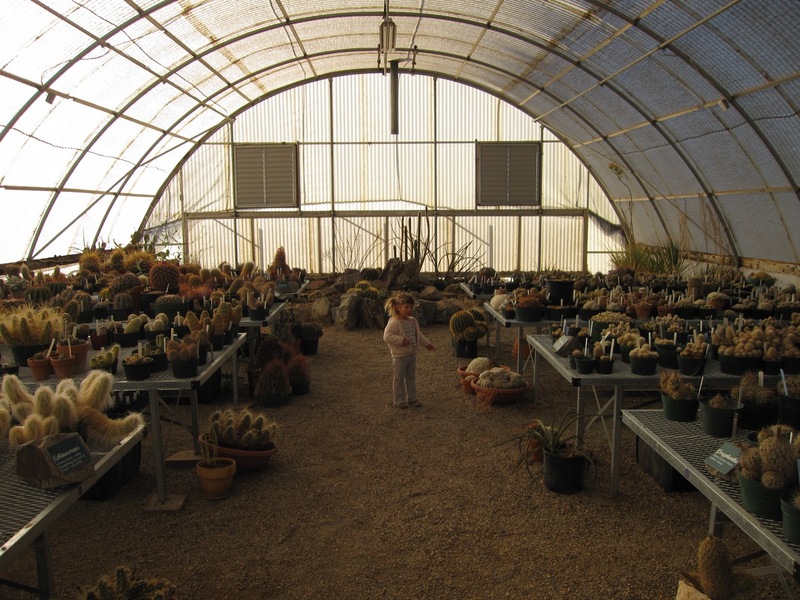 This site contains the largest collection of Chihuahuan Desert vegetation in the United States and grows rare and endangered species, including hundreds of cactus species for out-planting and conservation. The Institute has a 20-acre enclosed botanical garden where you can stroll past plants with signs telling you the species name, a cactus propagation greenhouse, and several miles of hiking trails outside the fenced enclosure to explore the local Chihuahuan sub-montane vegetation. 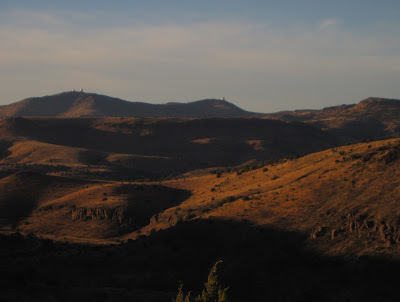 So, as you can see, there is quite a bit to do in the Davis Mountains. So, if you are even on that long stretch of I-90 between El Paso and San Antonio, you might want to dip a bit south to check out this area. 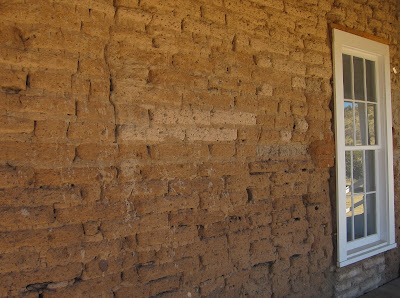 Also, if you are on your way to Big Bend National Park, this would be a great primer stop. 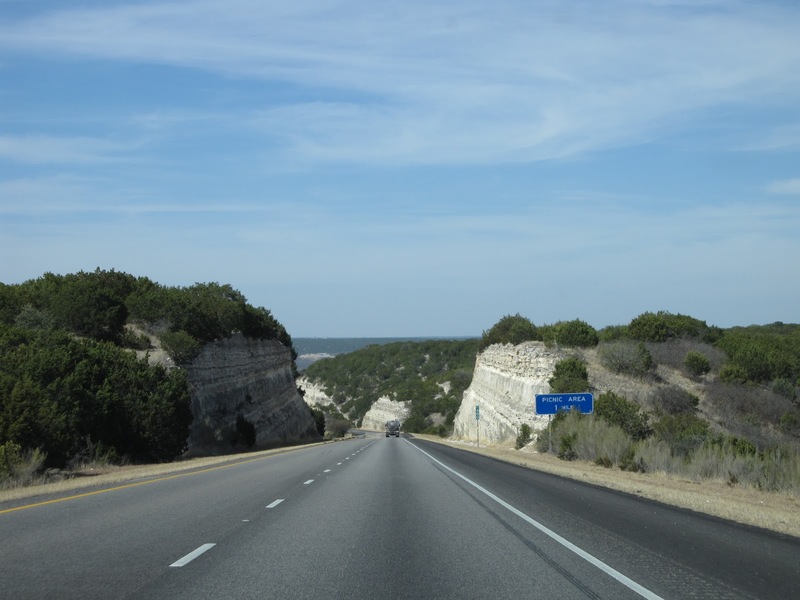 There is so much to see in the Texas Hill Country. 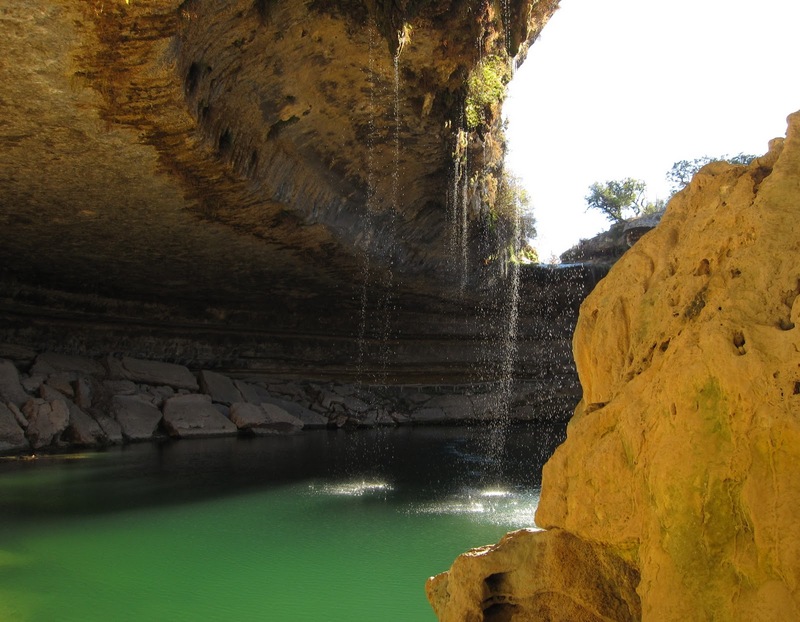 Pendernales Falls, Hamilton Pool, Barton Springs, Lyndon Johnson's Boyhood home, the bat caves near New Brunsfels, and so much more. 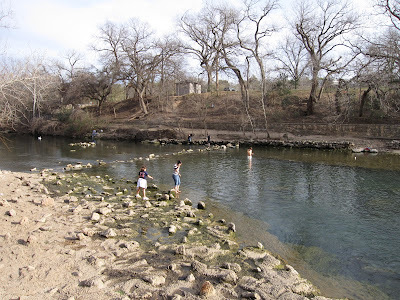 This post is just a quick glance at the must-see places to see if you are in Austin sometime and like to get out into nature. One place to get a great introduction to what the Texas Hill Country is all about is the Hamilton Pool Preserve. 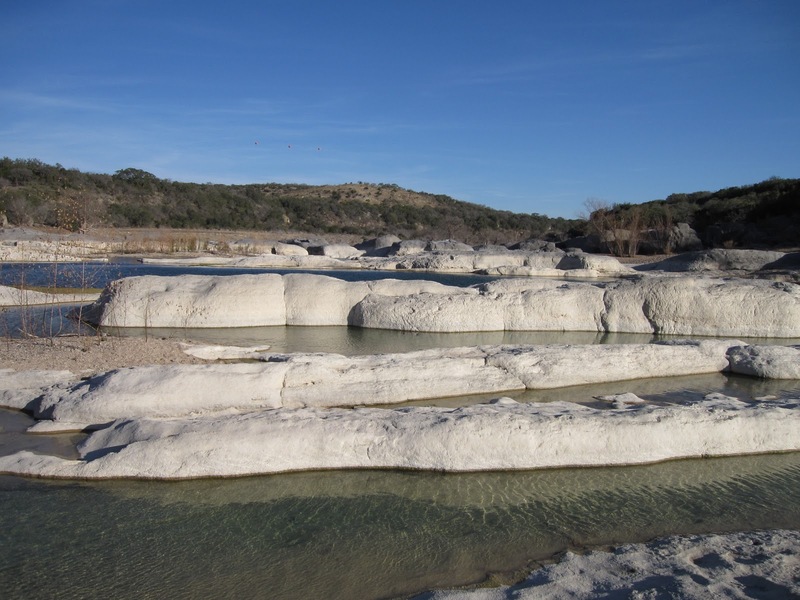 The main reason the landscape in the Texas Hill Country seems so arid is because the limestone bedrock is so well drained that even with sufficient rainfall, it drains so rapidly that it is too dry for many plants. 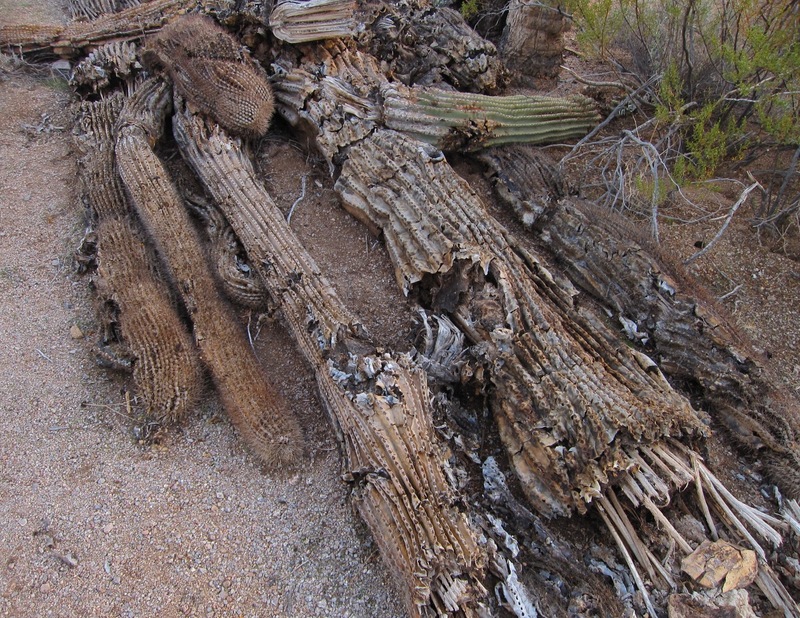 So, you begin to see dry-adapted plants of the Desert Southwest like live oaks, junipers, cactus, and grasses. But, down in the cool ravines where springs provide ample water, not only can bald-cypress and palmettos grow, but epiphytic air plants can survive on the humid summer air. 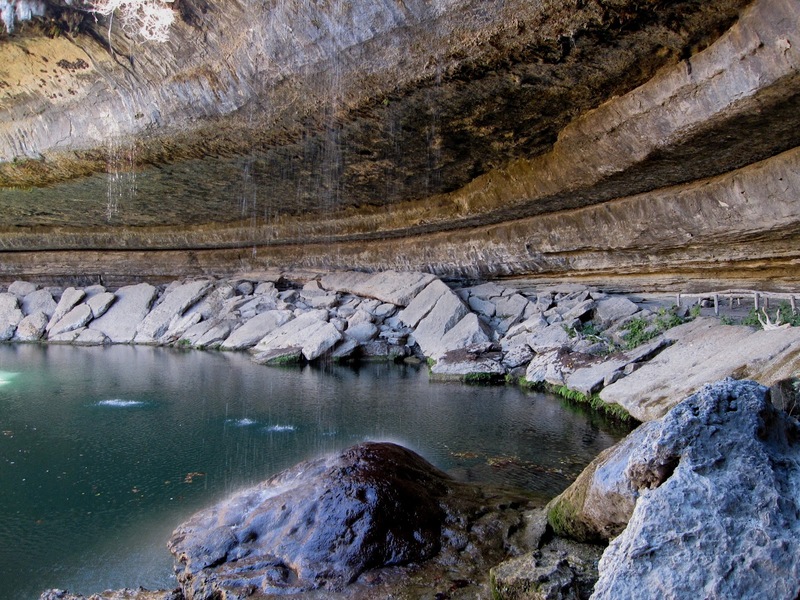 To get to Hamilton Pool Preserve, you can take Texas-71 west out of Austin. Drive until you see Hamilton Pool Road and turn left. Follow this road 14 miles until you arrive at Hamilton Pool Preserve on your right. It is a Travis County Park and they charge $10 for a day pass. But, it is well worth it. Especially if you want to take a dip in its cool waters on a hot summer day. 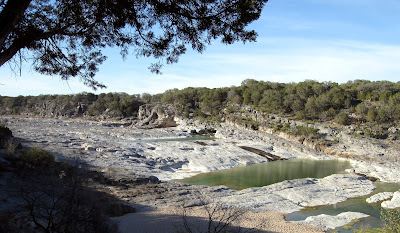 Another great place to check out and go hiking is Pendernales Falls State Park near Johnson City, TX. It is probably between 60 and 90 minutes west of Austin off of US-290. The same Pendernales River you may have seen at Hamilton Pool tumbles down a series of very interesting cascades and waterfalls here. 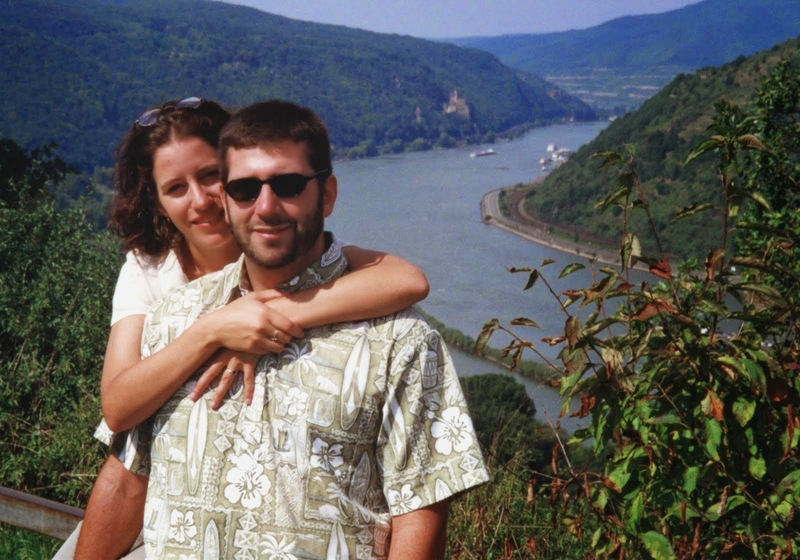 There are springs that pop up along the sides of the river and narrow chasms where the water rushes through. Of course, you can tell by the color of the limestone, that when water levels are high after heavy rains, what may appear as a placid stream flowing down the smooth rock faces can be a raging torrent covering the entire river bottom. 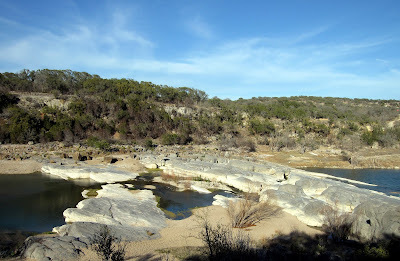 But, it is a beautiful place to go for a hike and get a sense for what the Texas Hill Country is all about. And, if you do happen to be in the Johnson City area to see Pendernales Falls, then you want want to head on over to the Lyndon B. Johnson National Historic Park. 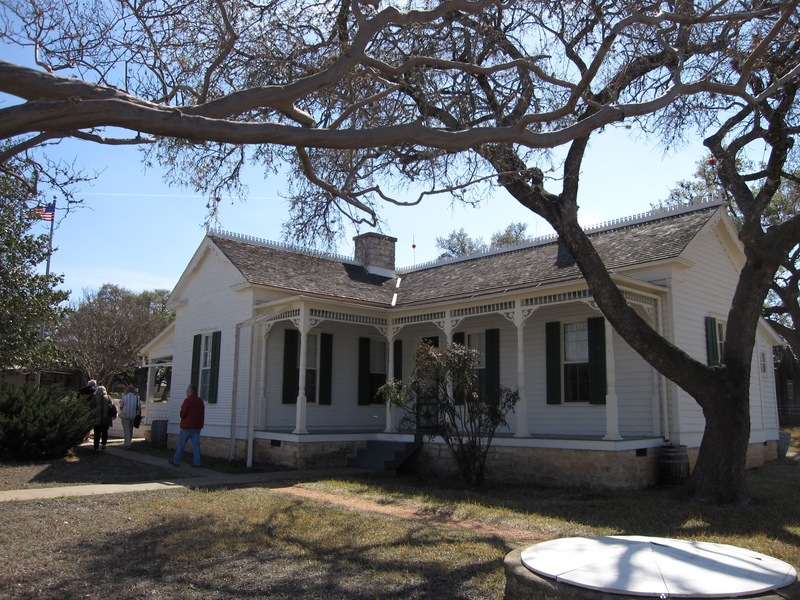 Here, the National Park Service preserves Lyndon Johnson's boyhood home in Johnson City (yes, named after his great grandfather who founded the town). 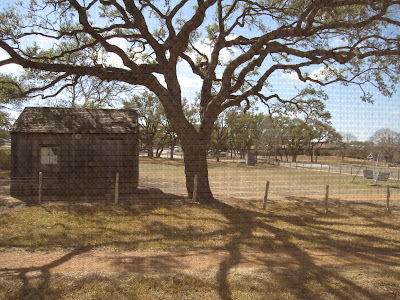 LBJ grew up pretty poor and you can see what conditions here like in this region in the early 20th century. The park has a museum that goes through his political life including his long stint as a congressman, senator, vice-president, and of course the 36th President of the United States. 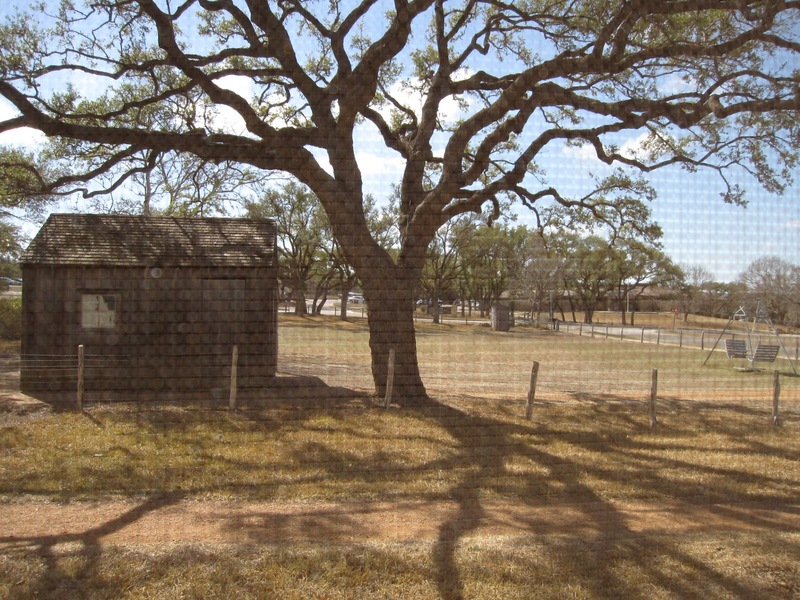 Another unit of the park contains the LBJ ranch, where he spent much of his adult life outside of DC and was know at the time as the "Western White House". But, even if you are unable to get out of the city of Austin while visiting, there is a lot to do right in town. 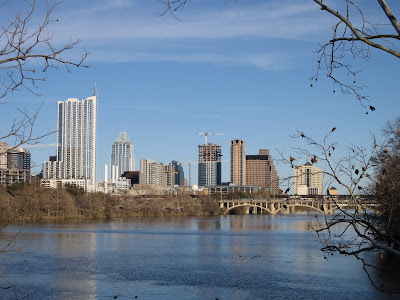 The downtown core sits along the banks of Town Lake and there are numerous bike/hike trails that go on either side of the lake, as well as, up various drainages that feed into it. 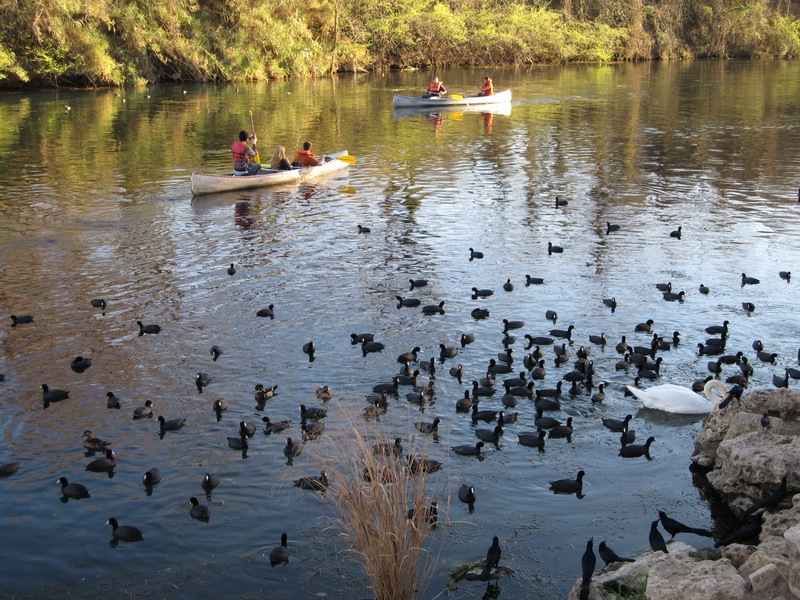 A popular place for Austinites to hang out on sunny days is Zilker Park. It contains some nice trails, lots of activities, a small train to ride, and access to several springs coming out of the Edwards Aquifer. It is also common to see kayaks and canoes wandering down the lake and up the various coves around the park. 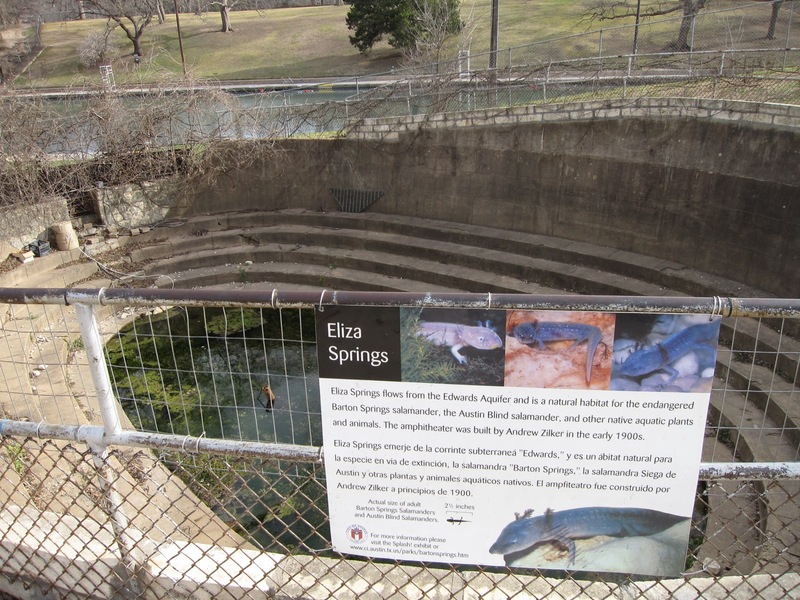 Zilker Park also happens to be the home of an endangered and endemic salamander species called the Barton Springs Salamander. It lives in only four spring-fed pools in the park. 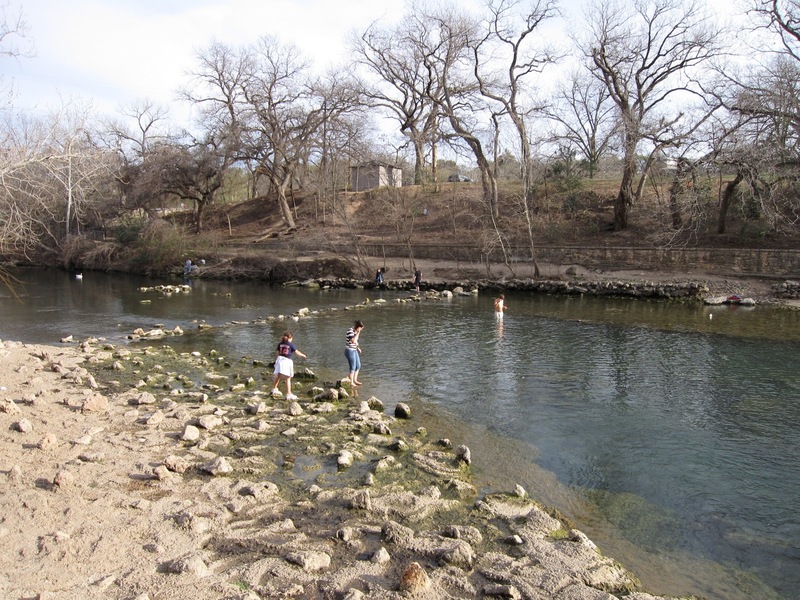 While endangered, people can actually go swimming with them in the main Barton Springs Pool, which is an available swimming hole with waters between 68-71 degrees all year round. After rigorous scientific studies by the U.S. Fish and Wildlife Service, University of Texas, and environmental groups, it has been determined that swimmers and salamanders can co-exist with proper management. 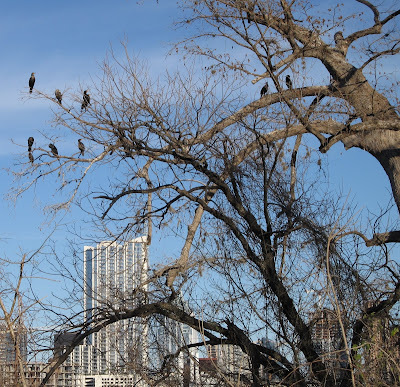 Austin is also home to the Congress Avenue Bridge, which has become famous for the over 1 million Mexican Free-tailed Bats that roost under it in the summer. This makes it the largest urban bat colony in the world. Each night the massive emergence of these bats attracts thousands of visitors to watch the display. In fact, a tourist economy has developed here and there are restaurants strategically placed so people can watch the event while dining. 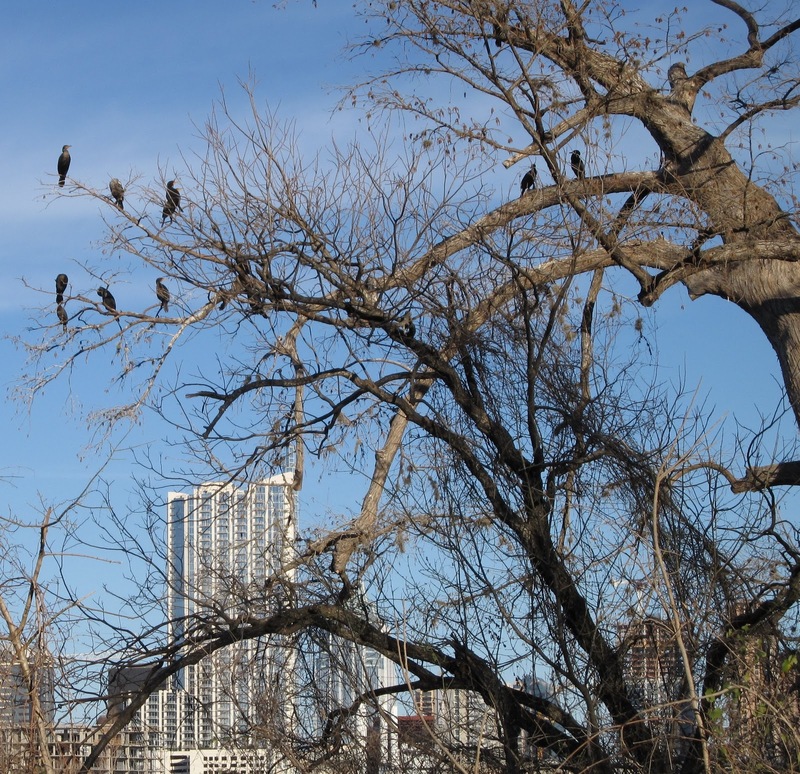 Austin is a really a great city for those who like to get outdoors and explore. 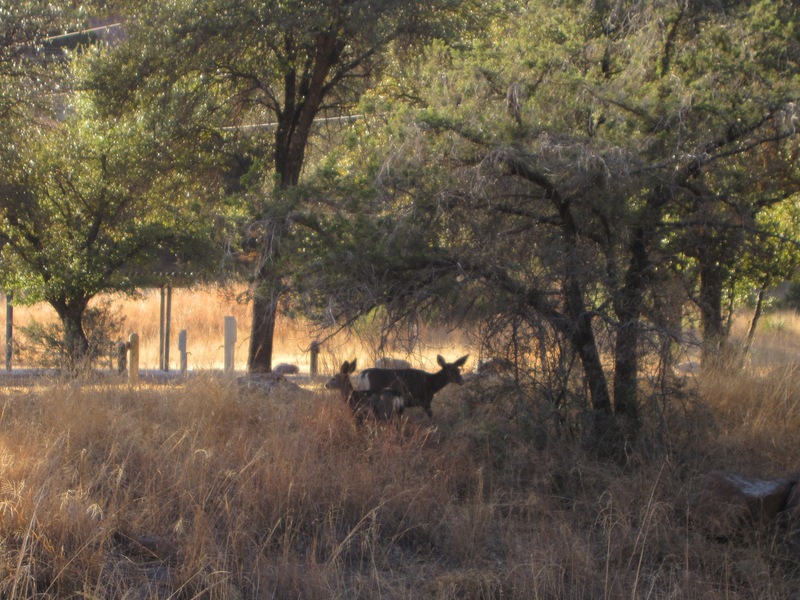 It's ravines and washes are filled with trails lined with riparian vegetation and interesting creatures. 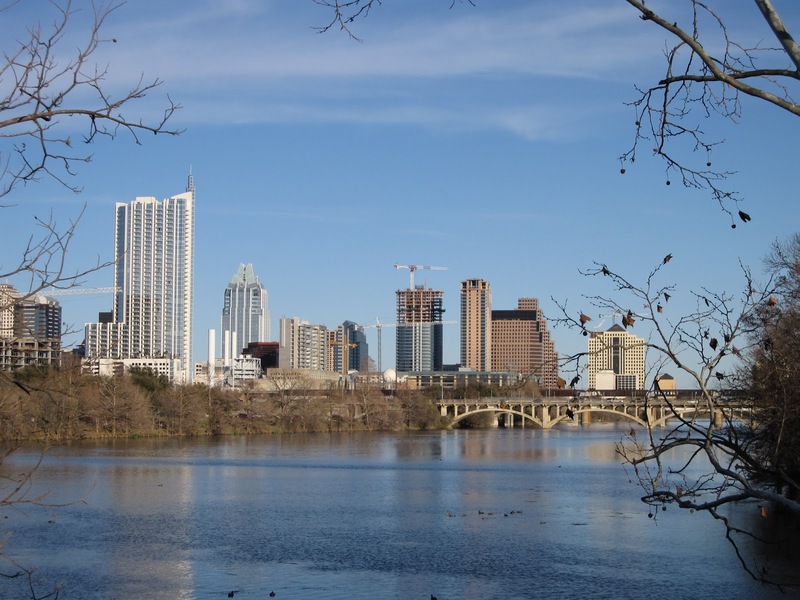 With a progressive attitude and infrastructure designed for active people, Austin is a great city for those looking for the best of both worlds (Urban and Natural). Plus, it is the home of Whole Foods, so you know you can get the organic foods you crave. 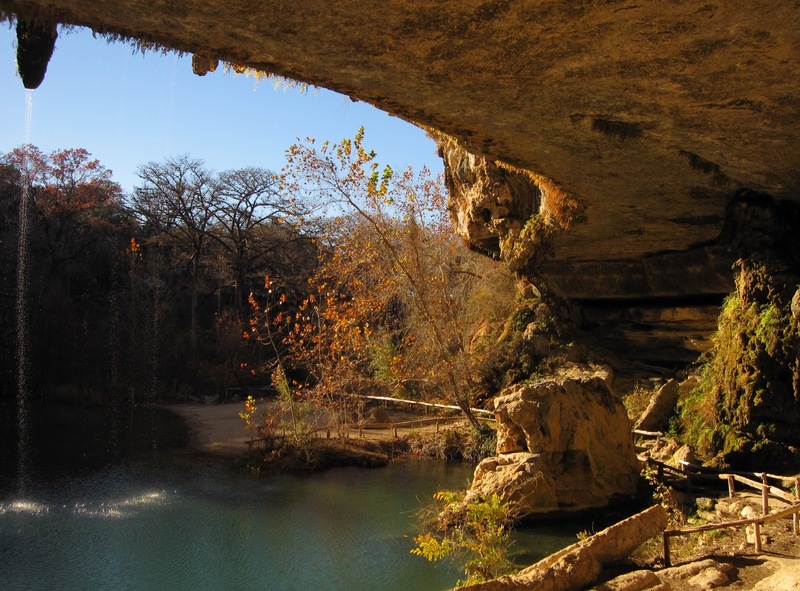 As you head south of Austin toward San Antonio, there are also many other things to see and do. 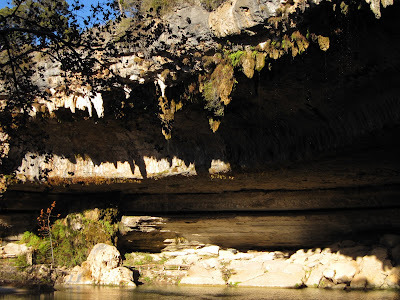 There are the beautiful limestone caverns near New Brunsfels including one of the largest colonies of bats in North America. San Antonio is also a great city and worthy of a post all its own. 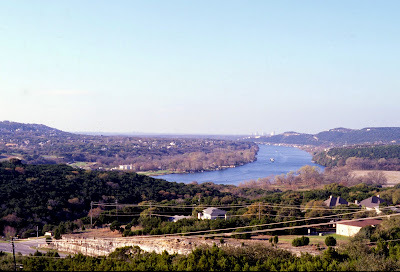 So, even if you have never thought about heading to Texas before, just remember that the Texas Hill Country, and Austin in particular, is a wonderful blue island in a sea of red. If you get my meaning.